Does everyone remember my red obsession post from a couple weeks ago? Well, here I introduce to you the bag that started it all. Darn C.Wonder and your amazingness! I saw this bag after being in New York for only two days and was completely in love but passed it up thinking "it's ok, I don't really wear red, I don't need it." Well, two more weeks passed by and this little red bag kept crossing my mind. Almost on a daily basis. I know, I know - it's just a bag! But when I can't stop thinking about an item I almost purchased like that, I know I need to have it. Also. These shorts. Kind of the same story. I know camo has been on trend again and while I'm not one to jump at every trend, I couldn't keep this one out of my head either! One afternoon walking home from the trade show last week, I could not stop obsessing over camo shorts and how many different things I owned that I could wear them with. So lucky me there was an army surplus store on the way home that just so happened to have a pair of pants that fit me that were very affordable. So I scooped them up, walked them home, and cut them off. They also had this seam above the cargo pockets that just so happened to be the perfect length for the look I was going for. And there you have it, no hemming required. I think it was completely meant to be! 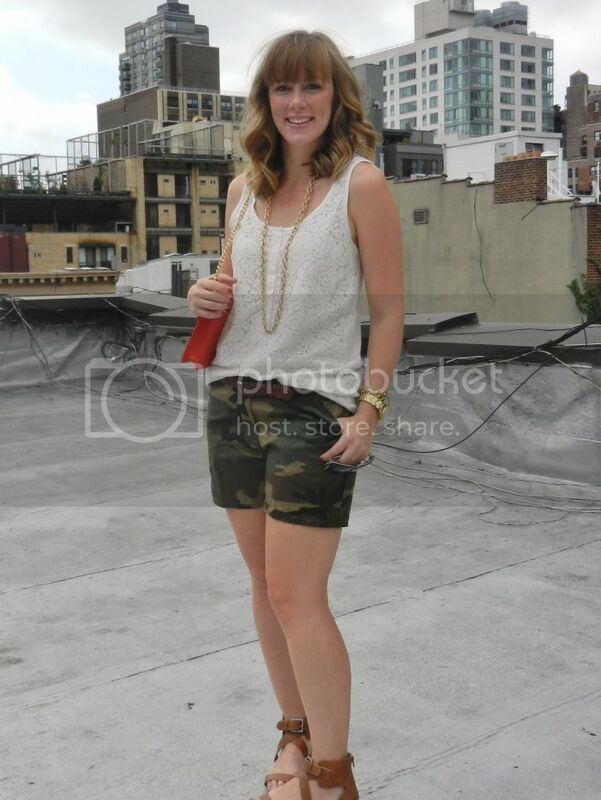 And so I wore my little red bag, my camo shorts and my lace tank to brunch on Saturday. Also, welcome to my rooftop!!! How exciting is this?! 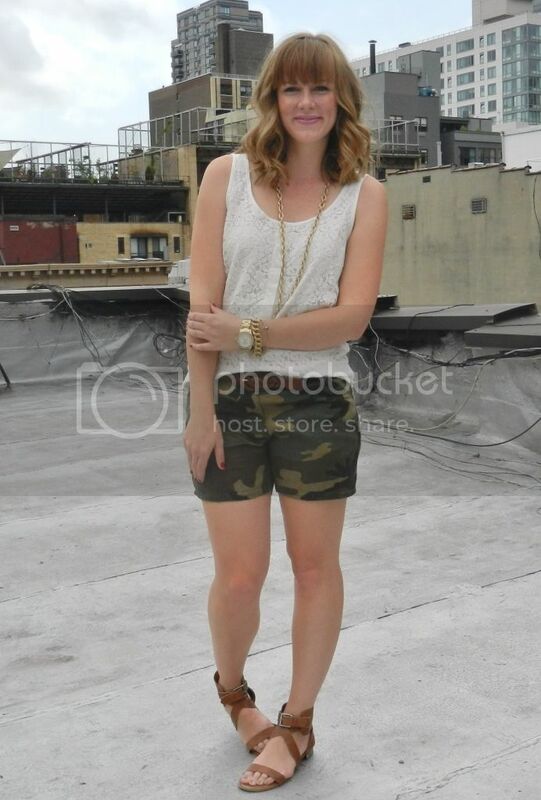 I feel so Krystal Bick with a sweet city rooftop to take pictures on :). So awesome you made those shorts! I think this outfit is so perfect for the weekend, and if it got chilly it would only get better with a blazer over top. Love it! 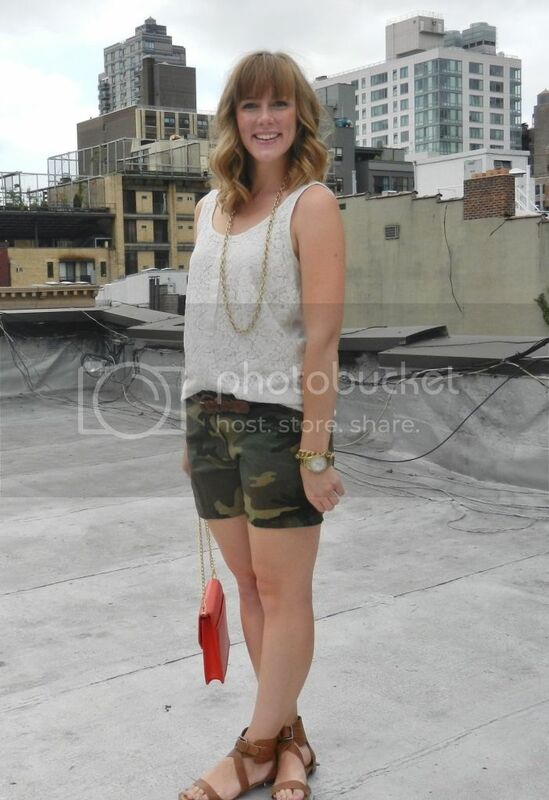 You're so fancy with the rooftop photos! Love your hair like that too. 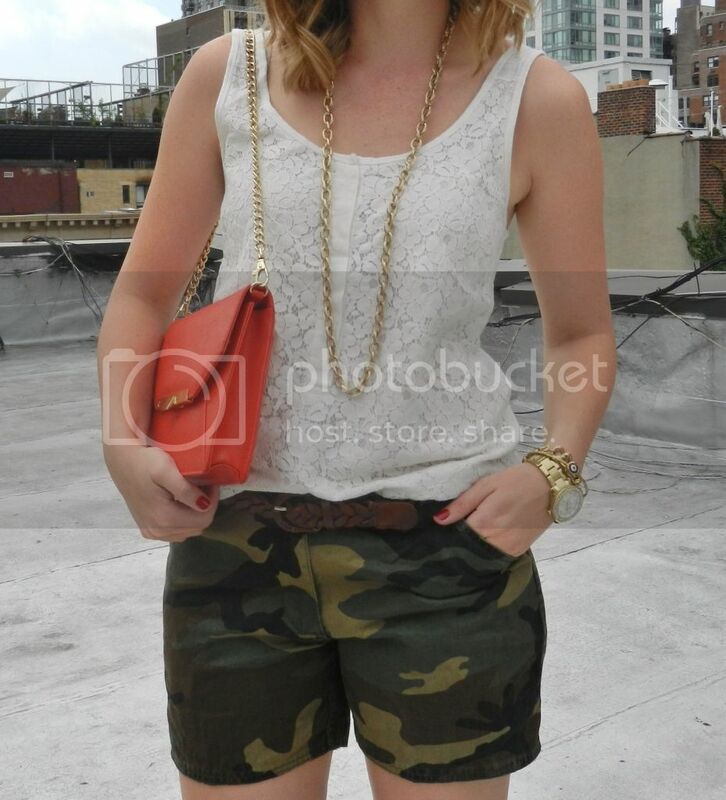 These camo shorts are nice but i guess you wont be comfortable if you wear these in fall season, you have nicely paired these with white top, looking great.